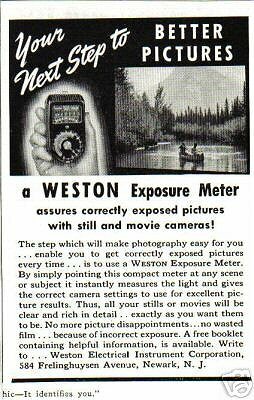 The first of the Weston Master series, the type 715 (and 720 cine variant), this meter was produced at Newark NJ in 1939 and then in the UK by Sangamo Weston in Enfield, Middlesex after the war in 1947. 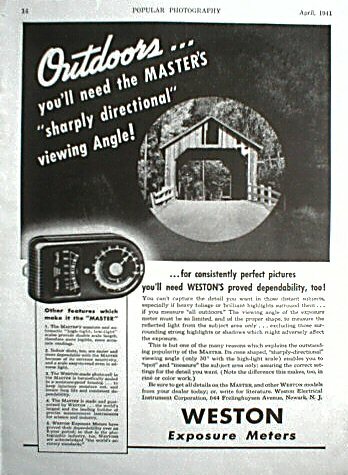 It is the first of the Master series and the first Weston to have an "upright" format. 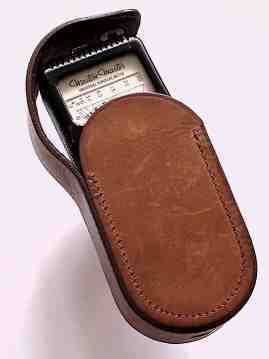 These meters are large and heavy by modern standards with a dial that is complex to use. 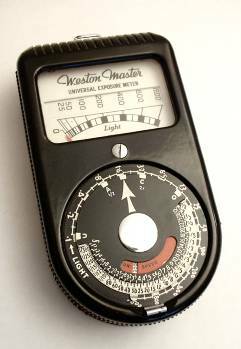 Just compare the dial to that of the Euromasters. Simon Spaans has some nice pictures of various 715 models here - including the rare Bolex version, and the cine version here.